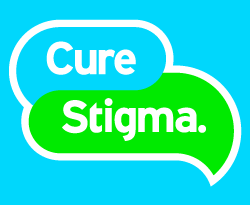 Curing stigma is very important to me. That is why in 1994 I announced to my colleagues, constituents, and friends that I suffer from bipolar disorder. In 2016, I was awarded the Meadows Mental Health Foundation’s “Okay to Say” Leadership Award because of my continued efforts to erase the stigma surrounding mental illness. I am not ashamed to admit that I was hospitalized at the Menninger Clinic in Kansas in 1994 because of my mental illness. I came out of that clinic better than ever. In 1995, I was even named as one of the Top 10 Best Legislators by Texas Monthly (click to read) that session – which began less than two months after I left the Menninger Clinic. Treatment makes it possible for those of us suffering from mental illness to not only do their job, but to do it better than before treatment. Treatment does help – managing my mental illness was how I was able to excel in that session after only coming out of the hospital in November. We must address the stigma surrounding mental illness, as it has only increased due to mass shootings.Studies show that people who suffer from a mental illness are not more likely to be perpetrators of gun violence. In fact, they are more likely to be victims of gun violence. Stigma should never deter someone from getting the mental healthcare they need and deserve. That is why we must continue to speak out to show that you can live with mental illness. In 2013, I shared my own personal journey of living with mental illness to KERA News, which you can listen to and read by clicking here. Mental health awareness and treatment is very important to me and I have made great strides in improving access to quality mental healthcare throughout Texas – but there is more work to be done. Below you can read about some of my achievements to improve mental healthcare for all Texans. In 1997, I authored HB 1173, a partial mental health parity law that required most Texas insurance plans to offer coverage for serious mental disorders. Until the passage of the Affordable Care Act, this law was stronger than relevant federal laws, making Texas a surprising leader on this issue. I helped to improve parity law during the 85th Session in 2017 with HB 10 that I joint-authored with Chairman Four Price (R-Amarillo). In 2005, Senator Jon Lindsey (R-Houston) and I passed SB 1473 (I authored the companion bill HB 2524) which requires all Texas police officers to undergo crisis intervention trainingso that they are equipped with the skills to de-escalate potentially violent situations involving individuals with a mental illness. Also in 2005, Senator Robert Duncan (R-Lubbock) and I passed HB 2518, allowing county commissioners courts to establish mental health court programs for both felony and misdemeanor charges. This bill is unique in that it allows for courts to serve Texans who are mentally ill and have been convicted of a felony or misdemeanor. The goal is to divert certain individuals away from the criminal justice system and into a more appropriate treatment program, ending the cycle of mental illness and criminal behavior. In 2011, I authored and passed HB 1386, which recognizes the threat of bullying, mental illness, and emotional trauma among students and allowed schools to implement best-practice-based programs to combat that harm. HB 1386 requires the Department of State Health Services and the Texas Education Agency to establish and annually update a list of best practice-based early mental health and suicide prevention intervention programs to be implemented by school districts. This legislation was dedicated to every child who has fallen victim to emotional trauma and arose in response to the spate of adolescent suicides taking place across the country due to bullying. In 2013, I worked with Senator Van Taylor (R-Plano) to pass SB 831 (I authored the companion bill, HB 3327), which expanded early intervention programs to include substance abuse. Senator Bob Deuell (R-Edgewood) and I passed SB 560 (I authored the companion bill, HB 3224) which made it mandatory for schools to implement these intervention plans so that all teachers will be trained to recognize early warning signs of bullying, substance abuse, and mental illness. Also in 2013, I passed a County Omnibus (HB 3793) bill which included language from Senator Charles Schwertner’s (R-Georgetown) SB 955 which allowed the Health and Human Services Commission to grant funds to schools to pay for Mental Health First-Aid Training for their teachers. Also included in my County Omnibus bill from 2013 (HB 3793) is language from SB 1352/HB 2477 by Senator Leticia Van de Putte (D-San Antonio) and Representative Carol Alvarado (D-Houston). This language directs local school health advisory committees to include mental health recommendations in their recommendations for coordinated health curricula. After the 81st session, the House Committee on County Affairs that I chair proposed a model for community health collaboratives, such as San Antonio’s Haven for Hope, and recommended that these centers be established across the state. We used language from our interim study to craft the bill and ensured the money to help roll them out. Chair John Davis (R-Houston), a former member of the County Affairs Committee, took the lead to secure $25,000,000 over the biennium to fund this statewide model. This money helps fund community centers that provide healthcare, shelter, and services to homeless Texans. I expanded this effort again in 2017 and helped pass a total of $92.5 million to fund healthy community collaboratives, which help divert people suffering from mental illness or substance abuse out of the criminal justice system and into treatment. “Peer support” is an incredible model that involves partnering an individual suffering from a mental illness with a peer who has “been there before.” That peer understands the challenges associated with juggling a mental illness while trying to get their life back on track after imprisonment. I added a rider to the 2016-17 budget that directs up to $1,250,000 for the Department of State Health Services to implement a mental health peer support re-entry program for mentally ill Texans who are trying to reintegrate into society after their incarceration. The program reduces recidivism, maintains a continuity of care for the individual with a mental illness, and greatly helps former prisoners get back on their feet. The application for a driver’s license previously asked if an individual had ever been “diagnosed with, treated for, or hospitalized for a psychiatric disorder.” Even if a diagnosis had no impact on applicant’s ability to drive, answering “yes” could have delayed an application for months, prolonging the time before the applicant can go on with a normal life. HB 2216 in the 84th legislature limits the question to ask only whether the applicant has a mental illness that affects their ability to drive. This brings the mental health inquiry into line with the physical health inquiry. In 2015, HB 2434/SB239 contained one of the recommendations from an interim report conducted by my committee that helped increase the number of mental health professionals in Texas. Senator Charles Schwertner (R-Georgetown) authored the senate bill, and I joined Representative Zerwas (R-Richmond) as a joint sponsor on it. This legislation will encourage mental health professionals to practice in areas of Texas that desperately need their services by assisting in loan repayment. Also in 2015, HB1924 alleviates the problem of insufficient availability of psychological professionals in the state by giving supervising psychologists the ability to bill insurance companies for the services provided by pre-doctoral interns. These interns already have years of training, and they already help patients; this legislation will simply allow them to bill through insurance plans. This will enable psychologists to hire more interns, directly increasing the number of qualified mental health professionals in the state. Since most newly-licensed psychologists choose to practice near the area where they intern, increasing the number of internships available in Texas will encourage more of our own graduates to practice here and help our state meet the high demand for care. Last Monday, I interviewed with Laura Isensee of Houston Public Media regarding my announcement last week that I will be filing a bill to repeal or substantially modify a harmful bill that is detrimental to Texas schools, particularly those in HISD. Click here to listen to my interview and read the full story. On Thursday, May 10, the House Committee on County Affairs that I chair will be holding a committee hearing on two interim charges. Please see below for details. If you cannot make the hearing, you will be able to watch via livestream by clicking here at 10am on Thursday, May 10. Interim Charge #1:Examine how emergency response activities are organized, funded, and coordinated. Review the impact of natural disasters on county finances. Identify any deficiencies in authority for the most populous counties related to infrastructure planning, emergency response, and recovery. Explore ways to improve efficiencies and manage costs while protecting public safety. Additionally, study the relationship between the state, counties, non-governmental organizations, and churches in preparing for and responding to Hurricane Harvey and its aftermath, and determine if preparedness plans are adequate. Interim Charge #2: Evaluate whether counties have the necessary ordinance-making and enforcement authority to deal with flood risk in unincorporated rural and suburban areas of Texas. Additionally, examine whether counties have adequate resources and authority to ensure that new development in unincorporated areas is not susceptible to flooding. Public testimony will follow invited testimony. 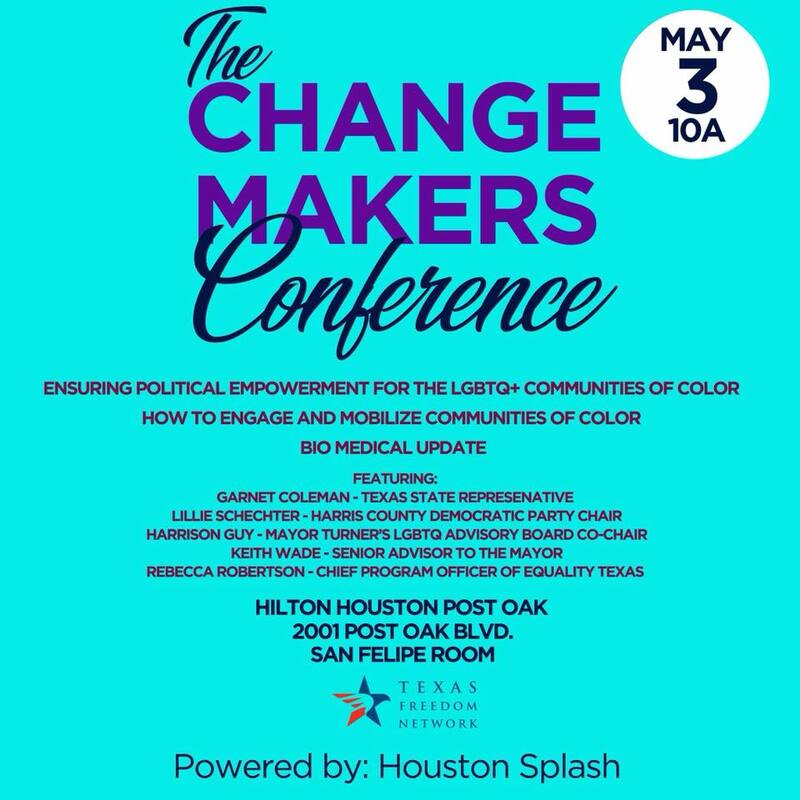 On Thursday, I was honored to speak on a panel entitled “Ensuring Political Empowerment for LGBTQ+ Communities of Color” featuring Chairwoman Lillie Schechter, Trustee Jolanda Jones, Harrison Guy, and Rebecca Robertson from Equality Texas. We discussed how to engage and mobilize communities of color. Thank you to the Texas Freedom Network and Houston Splash for putting this together. Our song of the week is “This Is Me” from the movie, The Greatest Showman.